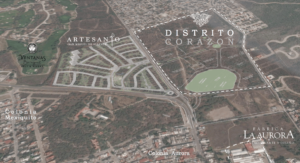 Recently a handful of my small neighborhood’s neighbors filed a lawsuit in hopes of preventing the field next to us from being developed thus increasing traffic in our area. Naturally, it would be nice to keep traffic to a minimum but I’d be crazy to voluntarily enter into a lawsuit, particularly as a foreigner. Plus everyone knows a courthouse is for children who can’t solve their issues like adults. Even assuming you win, you’ve already lost if only by paying the steep legal fees. Having avoided being near a courthouse for two decades as the largest employer of writers and editors in Research Triangle Park (RTP), I’ve no interest in playing with lawyers here. On a less personal level, I’m a bit confused my some of my otherwise lovely neighbors’ obsession with the neighboring field. I just always assumed one day the owner would develop it. If I wanted to control the field’s destiny I would have bought it. With all the development going on around town you can’t really expect a field near our largest and finest hotel to remain burro turf. I recall a similar issue when living on a converted farm into suburbia near RTP. The farm next door started converting into a development and my then neighbors went ballistic wanting to keep the farmer’s fields, fields. Can you blame a farmer that can make more selling his land than his family ever made farming? Again, if I wanted to control the future of those fields, I’d have bought the land and sat on it. It worked the same when living on a remote island in Atlantic. Folks twenty lots back from the beach wanted ocean views so they would manipulate housing plans of construction between them and beach. My thinking was always if you wanted to see the waves, you should have bought on the ocean, only a toddler thinks you can have your cake and eat it too. 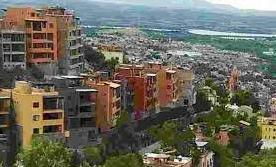 A similar situation arose here when the new condos went up on the hill overlooking centro. I, too, liked it better as fields to walk my dog around and enjoy the views but it wasn’t my land. Luckily the developer actually is finishing up the project so we aren’t stuck looking at skeletal buildings that never completed as often happens (including the new hotel that was vacant for over a decade). You may not like the condos’ loom but at least they got completed. 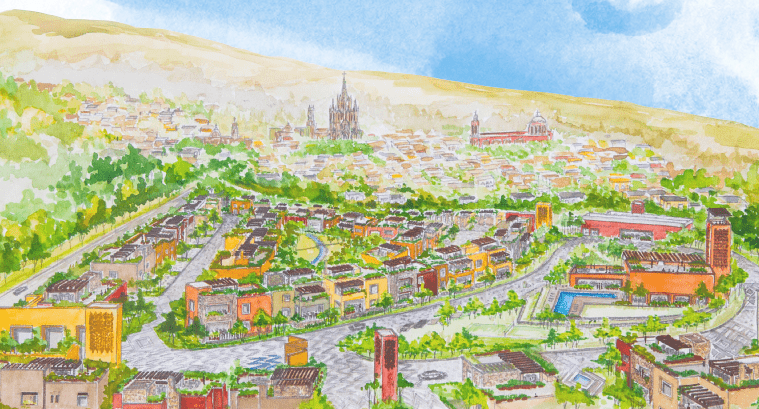 I think it is good sign the same developer is doing a much larger community alongside and across the street from the boys’ orphanage changing the town and traffic around the Fabrica. Neighbors aren’t always easy. When the house next door sold the elderly gay couple that bought it started construction projects that lasted for 18 months of early morning hammering. At first I was baffled how so much work could be required on a new home. I get wanting to change counter-tops or paint, but for a year and a half! They reminded me of the Winchester gun house in San Jose, California. 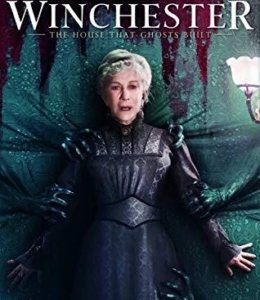 Here, the woman that inherited a fortune from her ancestors that created the Winchester guns felt if she ever stopped building on her house the ghosts of those killed by her family’s guns would haunt her. Helen Mirren starred in the movie version of this tale last year. Then instead of being mildly annoyed it dawned on me to pity the lads as anyone who is putting that much effort into changing their exterior surroundings has interior problems. Suffice to say they shortly later divorced and went their separate ways back up North. Part of the problem for we foreigners is we still favor the styles of homes we had up North where windows (and the views they provide and we obsess over) are focused out so we can keep up with the Joneses. Me, I prefer my Colonial era style home where any windows that face the street are way above eye level providing light, not views. 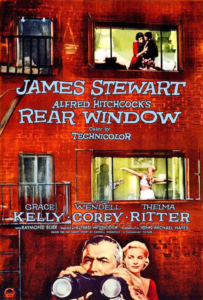 The views focus on the courtyard’s garden providing visual access to other rooms in the house much in the same way Rear Window gave Grace Kelly and Jimmy Stewart views to a murder. By looking around my home, had I been an Inquisition-era father, I could focus on my daughters’ safety and comfort. Who cares about the neighbors as they aren’t my responsibility? So, if you want to be happy and less obsessed about your neighbors, change your view and viewpoint. If we are to find our Heaven here we just have to look harder.